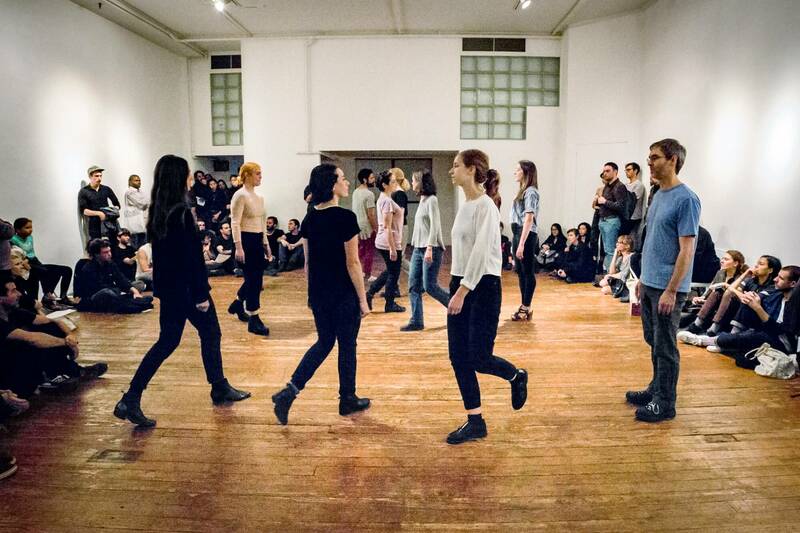 Swiss Institute announces a new off site performance and event program entitled Lunar Intervals. Each event will take place during a different phase of the moon, and will be followed by a 7-inch record. 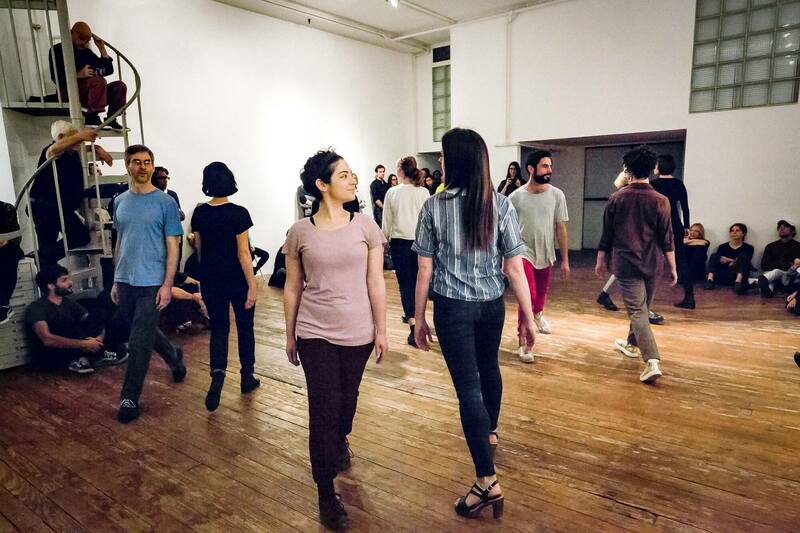 The series begins with Lunar Interval I: Waxing Crescent, which will be the occasion for Contradance, a performance by Michèle Graf and Selina Grüter, hosted by the Emily Harvey Foundation. 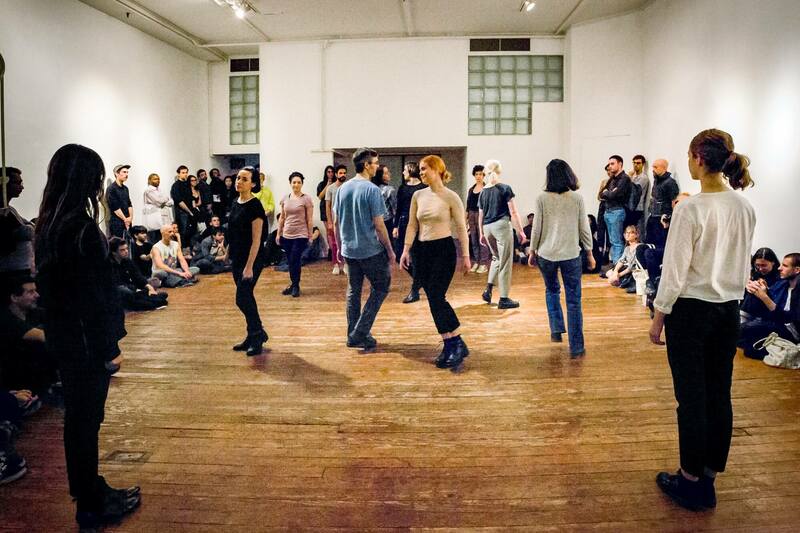 Contradance draws on the framework of contra dance traditions that organize a social dance using the form of A-B pairs. 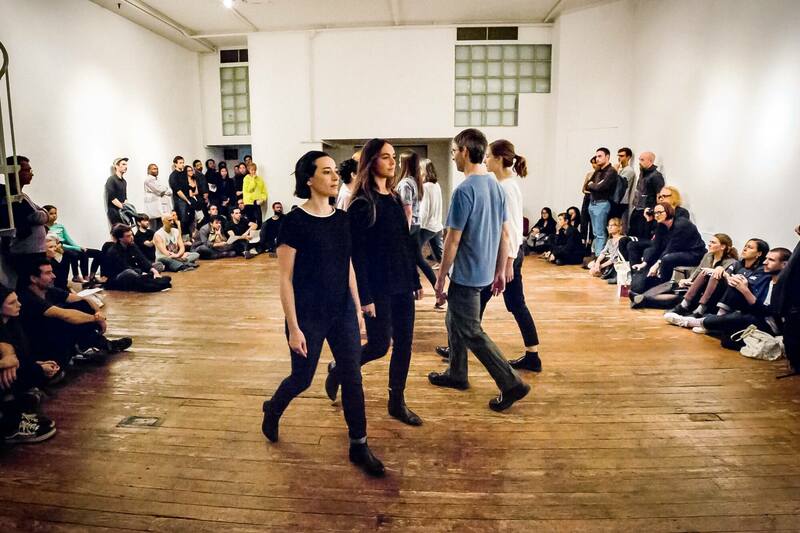 In a stripped back form, the mechanics of the choreographic operations are accentuated, as the dancers weave amongst one another, describing the architecture through sequences of movement. Each with varying degrees of formal training, dancers change partners and neighbors after each repetition which guides them through space. Michèle Graf & Selina Grüter (1987, 1991 Zurich, Switzerland) are based in Berlin and Zurich. Recent exhibitions and performances include Throws and Catches, Plymouth Rock, Zurich (2017); On Half a Tank of Gas, Swiss Institute New York City/Kunsthaus Glarus, New Glarus WI (2017); In relation to a Spectator:, Kestnergesellschaft, Hanover (2017), Rehearsing Intra-Activity, LISTE Performance Project, Basel, curated by Eva Birkenstock (2017) and Unruly Relations, Kunsthaus Glarus (2016). Graf and Grüter co-run the artist-run space Taylor Macklin in Zurich. 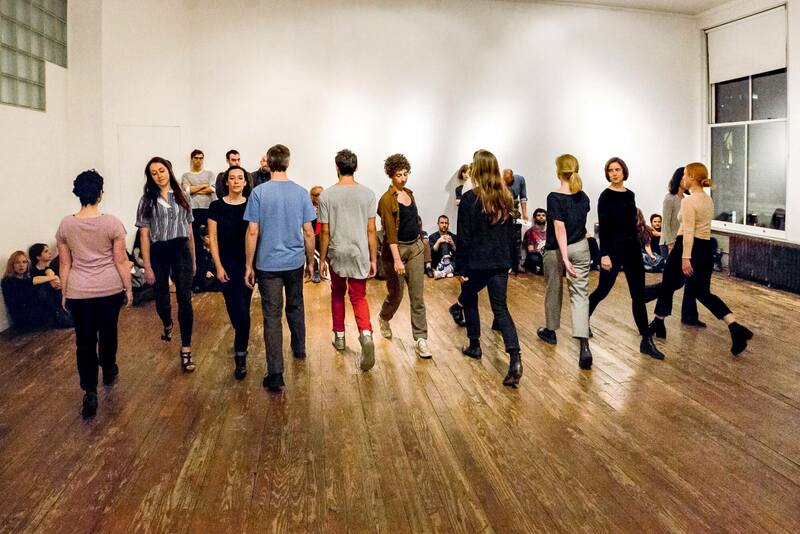 During the reconstruction and refurbishment of Swiss Institute’s new building at 38 St Marks Pl in the East Village, the institution is programming offsite with a number of projects that reach beyond traditional or standardized exhibition spaces. Lunar Intervals will take place until the opening of the new space in 2018. 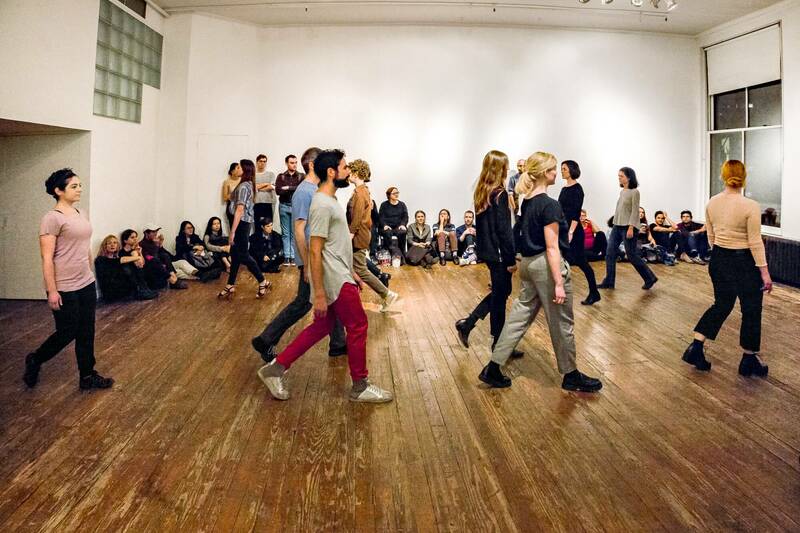 SWISS INSTITUTE PROGRAMMING IS MADE POSSIBLE IN PART WITH PUBLIC FUNDS FROM PRO HELVETIA, SWISS ARTS COUNCIL, THE NEW YORK STATE COUNCIL ON THE ARTS, WITH THE SUPPORT OF GOVERNOR ANDREW CUOMO AND THE NEW YORK STATE LEGISLATURE, AND THE NEW YORK CITY DEPARTMENT OF CULTURAL AFFAIRS IN PARTNERSHIP WITH THE CITY COUNCIL. MAIN SPONSORS INCLUDE LUMA FOUNDATION, THE ANDY WARHOL FOUNDATION FOR THE VISUAL ARTS, AND FRIENDS OF SI. SWISS INSTITUTE GRATEFULLY ACKNOWLEDGES ITS LEADING PARTNER UBS, STELLA ARTOIS AS BENEFACTOR, SWISS RE AS PUBLIC PROGRAMS PRESENTING SPONSOR, VITRA AS DESIGN PARTNER, SWISS AS TRAVEL PARTNER AND UOVO FINE ART AS RELOCATION PARTNER. 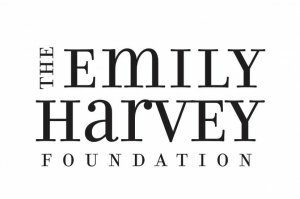 THANK YOU TO CHRISTIAN XATREC AND AGUSTIN SCHANG AT EMILY HARVEY FOUNDATION, LAWRENCE KUMPF, BLANK FORMS AND NICOLA LEES AT 80WSE.